Farewell, and Welcome Brother John! The Old Boys (and girls) of Dr Graham’s Homes and the wider Kalimpong Community will come together today to pay their respects to their beloved Reverend Johnston, one of the Kalimpong Icons. he will also be fondly remembered by the alumni of Mount Hermon’s, Darjeeling. It is both a farewell and a welcoming, as the remains of Rev. Johnston will be placed in the Garden of Remembrance. A strapping 25-year-old missionary, John Arcus Johnston had set sail from the shores of Australia in 1953 to serve the people of India, little knowing this journey would take 65 years to complete — a year after his death. Rev. John breathed his last on April 17 last year in Australia when he was on his way to conduct the marriage of his granddaughter but his journey will be complete only on Sunday. The ashes of Rev. John will be interned in the Garden of Remembrance at Dr Graham’s Homes, an educational institution in Kalimpong after the Sunday chapel service. “John and I reached set off for missionary work and reached Assam in 1953,” said John’s wife Val. The couple had then only recently been engaged and was learning Bengali in Assam. The same year, they came to Mount Hermon School in Darjeeling to start an association which would last till 1989. Rev. John was principal of Mount Hermon from 1978 to 1989, steering the institution during the violent Gorkhaland agitation days. In 1989, he had to leave for Australia because of medical reasons. But the pull of India was always strong. “One morning he got a call to take up responsibility of an orphanage. It was at Coonoor in Nilgiris were we had never gone, but in the evening he told me, I think we should take this assignment,” said Val, who also taught in Mount Hermon. The Johnston couple again returned in 2005 to take charge of a school for street children near Mumbai and were on and off in India till 2010. Since 1953, Rev. John was pulled back by his native country more than half-a-dozen times but every time India’s magnetism was stronger. “There was a request from the school (Homes, to bring the ashes) but we could not do so because of the political situation here.” The hills were closed in the 104-day statehood shutdown last year. This week, Val, brought the ashes to India accompanied by six other family members, including their son, daughter and grandsons. The Johnston family was in Mount Hermon school on Friday to attend a chapel service. “Darjeeling was our home, will always be our home….I am sure my husband is smiling down,” said Val. 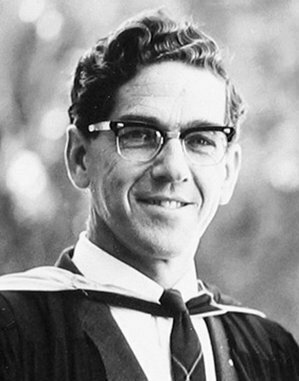 Micheal completed his school from Mount Hermon in 1970.